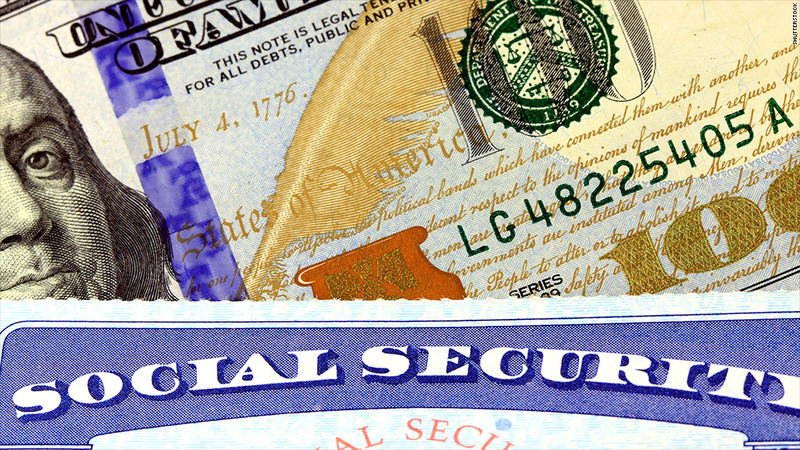 It's highly unlikely that Congress will reform Social Security any time soon. But there is a near-term cash crunch in one part of Social Security that lawmakers must resolve in the next year or two. So unless Congress acts to replenish the fund beforehand, the program will only be able to pay an estimated 80% of promised benefits to 8.8 million disabled workers, plus the benefits paid to their spouses and dependents if the disabled worker was the primary breadwinner. The current average monthly payment for a disabled worker is $1,146. When lawmakers will act is unclear. "Our best guess is that a fix will occur as close to the disability solvency deadline as Congressionally possible. Think debt-ceiling negotiations," said Jim Kessler, senior vice president for policy at Third Way, a centrist Democratic think tank. Then again, the fact that 2016 is a major election year makes it very possible that Congress could move on the issue next year, said Steve Bell, senior director of economic policy at the Bipartisan Policy Center. The most dramatic thing Congress could do, of course, would be to do nothing and just let benefit checks be cut across the board. No one expects that will happen. But lawmakers have let the supposedly "unthinkable" occur twice in the past two years. "I might have said it was impossible, but that was before witnessing sequestration and the government shutdown," said Marc Goldwein, the senior policy director at the bipartisan Committee for a Responsible Federal Budget. Nevertheless, the most likely outcome is that Congress will do what it has done several times before: reallocate some revenue from the retirement trust fund to the disability trust fund between now and 2025, according to Elisa Walker, an income security policy analyst at the National Academy of Social Insurance. Today, 12.4% of the first $117,000 of a worker's wages is earmarked for Social Security -- half paid by the employee and half by the employer. And one in seven dollars of that tax is dedicated to the disability trust fund. So Congress could decide to simply bump up the amount allocated for disability. Simply reallocating revenue, however, may not go down well with Republicans or some Social Security reform advocates. Their line of argument: you're just pulling from one underfunded program to feed another and you're missing an opportunity to put in place needed reforms. While fraudulent disability claims get a lot of attention, the program has much bigger problems in Goldwein's view. Among them: a complicated and uneven determination process, and outdated definitions of disability that don't always account for the most recent medical and technological advances. At the very least, Goldwein would like to see revenue reallocation accompanied by changes that improve the disability program financially and administratively. Kessler would like to see a disability fix that includes a bipartisan commission to address the long-term solvency of Social Security as a whole. The left-leaning Center on Budget and Policy Priorities would like the disability fund to be replenished as a part of a comprehensive solvency package for all of Social Security. But "since the chances of enacting a comprehensive Social Security [package] by 2016 are close to nil, we are emphasizing the need to reallocate a portion of the payroll tax [to the disability fund] to avoid a sharp cut in benefits," said center senior fellow Paul Van de Water.